“Enterprises must be prepared, with specially trained troops of the hunter class, who can develop a reign of terror…leaving a trail of German corpses behind them.” With these words Winston Churchill emphasized the fact that the Allies needed to actively engage in offensive operations against the Germans. Since 1939 the Allies had been pushed back at every turn; it was time that they started pushing back! The stage was thus set for what would become the First Special Service Force. The `Force' was a joint American-Canadian commando unit with separate combat and service echelons. It was activated on 20 July 1942, under Lt. Colonel Robert T. Frederick, and was based at Fort Harrison, Montana. The men selected for their rugged, outdoor backgrounds received the most rigorous training schedule (under live fire) ever undertaken by an American Army unit. They became an elite body of soldiers. 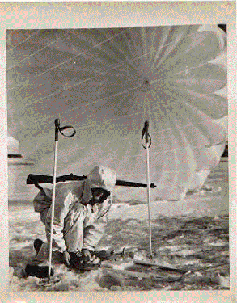 This all-volunteer “shock-troop” was to parachute into German-held Norway, knock out important hydroelectric plants, perform other acts of sabotage, and then fight their way to a neutral border. 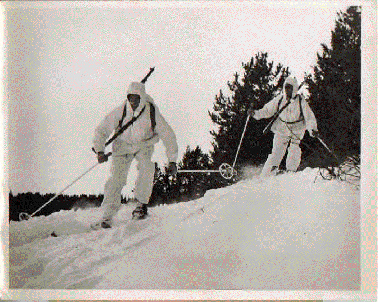 They trained for nine months for the Norway Operation, taking extensive courses in raider and commando tactics and receiving intense training as paratroopers, ski troops, mountain fighters, demolition experts, amphibious forces and hand-to-hand combat experts. Deemed impractical, the Norwegian operation was eventually cancelled, yet the Force did participate in the US landings on Kiska in the Aleutians in August 1943. Though this proved to be a bloodless victory, it gave the Force some much needed field experience. 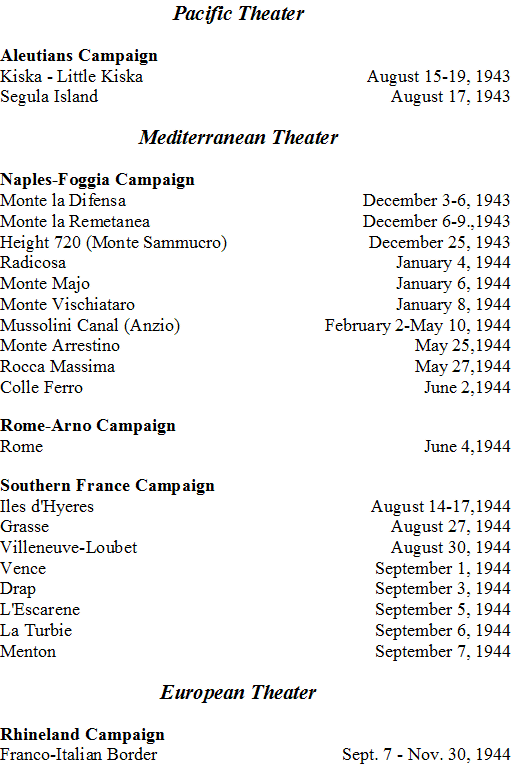 The Force was shipped to Italy in November 1943 where it fought with distinction for nearly a year. It first went into action at Monte La Difensa in Kesselring's Winter Line on 3 December. 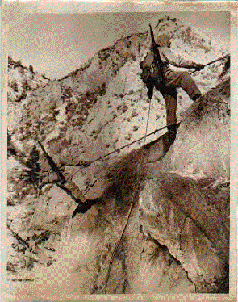 In this action they cleared a strategic German defensive position high atop a mountain surrounded by cliffs. The Force accomplished this in hours, where previous Divisions had tried and failed for weeks, suffering many casualties. Mountain fighting continued at places like Monte La Remetanea, Monte Sammucro, Radicosa, Monte Majo, Monte Vischiataro and after a brief period of rest, the Anzio beachhead. It would be at Anzio that the Force's mystique would grow. Named "Die Schwartze Teufeln” (The Black Devils) by the Germans, their ferocious nightime fighting ability would become legendary. At Anzio, although at only half strength, they held at least ¼ of the entire beachhead until the final breakout for Rome in late spring of 1944. After being the first unit into Rome, the Force led the invasion of Southern France with the U.S. 7th Army and fought eastward until December 1944. It was at this point that the need for a smaller, commando style, unit was deemed unnecessary and the Force was disbanded. Ross, Robert Todd, THE SUPERCOMMANDOS First Special Service Force, 1942-1942, An Illustrated History (Atglen, PA Schiffer Publishing Ltd. 2000). Springer, Joseph, The Black Devil Brigade: The True Story of the First Special Service Force , (Pacifica Military History, 2001). Burhans, Robert D., The First Special Service Force, A War History of the North Americans, 1942-1944, (Washington: Infantry Journal Press Inc., 1947). Adleman, Robert H. and Walton, Colonel George, The Devil's Brigade, (Philadelphia., PA: Chilton Books, 1966).